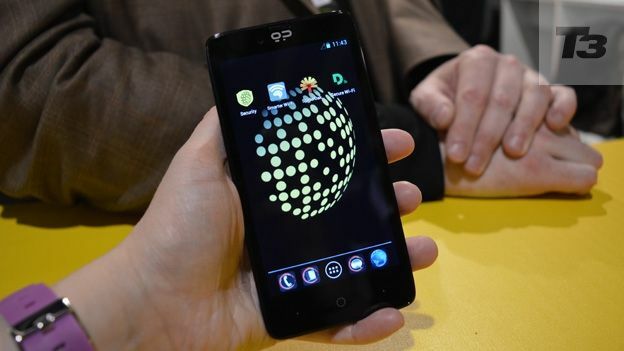 The Blackphone has finally been unveiled at MWC 2014 boasting an entirely secure version of Android along with a full suite of apps to keep your web-based noise down to a barely audible whisper. Whilst phones like the Galaxy S5 and BlackBerry's own smartphones offer business alternatives to privacy the Blackphone has been created from the ground up to offer users the highest level of privacy that's commercially available in todays world. What this translates into is a custom version of Android called PrivatOS. That means entirely anonymous searching, the removal of any bundled apps that might compromise your security along with encrypted calls, video chat, texts and file transfers up to 100MB. You'll also get complete control over what each app can do within your smartphone thanks to enhanced settings and a suite of Silent Apps which prevent external access. Silent Contacts blocks any app from simply skimming through your information without first getting your permission whilst Silent Text and Silent Phone both use industry-level encryption to prevent any unwanted listeners. All of this is then managed by a system called Silent Circle which once in place creates a virtual shield around your phone allowing you to contact any other person who has the Silent Circle suite of apps installed. In case you're wondering the Blackphone is actually a pretty powerful smartphone as well boasting a Snapdragon 800 quad-core processor, 4.7-inch HD screen, 4G as well as a powerful 8MP camera with Flash on the back. There's no word on when the Blackphone will be available however the company has confirmed it'll retail for $629 (plus delivery). It's a heavily subsidised price as buying the phone along with the suite of third-party apps would actually cost you over $1500.